The Park Today - Washington Park Association, Inc.
Washington Park is part of the Hudson County Park system, which means it is not a Jersey City or Union City park. The County is responsible for maintenance and planning for three out of four sections of the park. Union City began leasing Park #3 from the County for $1 a year back in 1987 and is responsible for the maintenance of that section. Park #1 Located along Central Avenue between Paterson Plank Road and North Street (In the past, the entire park was refeered to as North Street Park.) This is the only section located within the boundaries of Jersey City limits. Park #2 Located along New York Avenue and between Second Street and Paterson Plank Road in Union City. 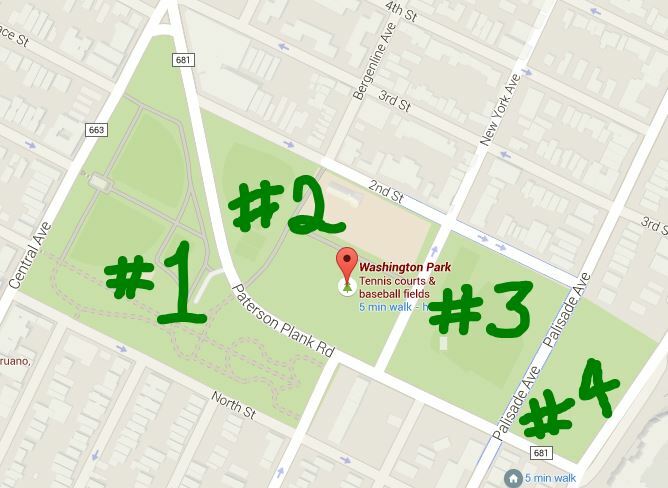 Park #3 Located between Palisade and New York Avenues and Paterson Plank Road and Second Street (Union City's leased section).